Garage home plans. 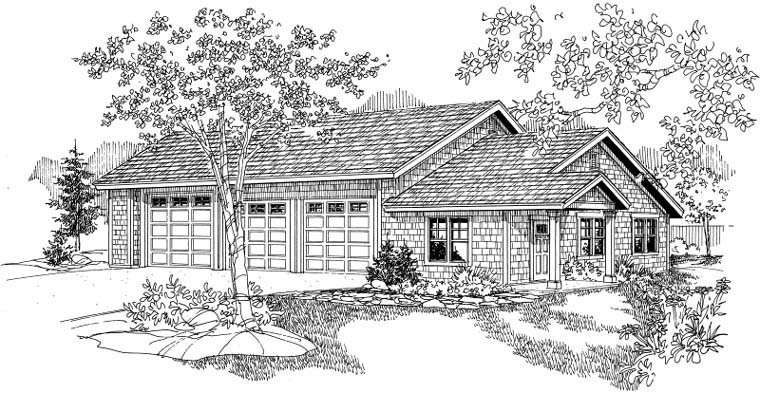 This Craftsman garage plan features three garage doors. Two doors are 10' wide and 10' tall, while the RV door is 12' wide and 12' tall. This garage can house up to 6 cars, or 1 RV and 4 cars. One the right side of the garage is a recreation room. There is also a hobby room and full bathroom. Question: What are the heights of the 3 garage door openings and the ceiling? Thanks. Answer: The RV Garage door is 12’ wide and 12’ tall while the two smaller doors are 10’ wide and 10’ tall. The garage has a 13’ top plate while the hobby and recreation room have 9’ top plates.